We’ve been counting down the days until Halloween for a ridiculously long time. Still looking for a costume? We’ve put together a list inspired by some of our favourite characters from TV shows, movies, and YA books. If you need a more detailed guide on how to dress as one of these characters, or if you want to share your costume, let us know! Haven’t you heard? Bow ties are cool. Add a tweed blazer and some suspenders, flop your hair around a bit (extra points if you wear a fez) and you’re all set! We love The Doctor. We really, truly do. But let’s be real. It’s the Weeping Angels that are absolutely terrifying. This costume is a little more complicated than The Doctor’s. Here are the basics: you’ll need a grey dress, covered with acrylic paint to make it look like a statue. We’d recommend using foamcore for the wings, which can be attached with straps and massive amounts of glue. Last step? A lot of grey costume make-up. Paint the box blue and add the buttons from the front of the console. Using black paint write out BMO’s name on the side of the box, and add holes on both sides for your arms. The final step is adding BMO’s adorable smile and eye holes so you can see! This is perfect if you’re celebrating Halloween with a group of friends. You can each dress up as a member of the infamous Bling Ring, plus, it’s actually pretty easy. You’ll all need over-sized sunglasses (yes, even if you’re indoors), high heels or trendy boots, a shopping bag in your right hand and a Starbuck drink in your left. Finishing touches: add some pink lipgloss and start mentioning Paris Hilton and Lindsay Lohan the very second you guys enter the party. This one’s actually really easy and pretty awesome. Braid your hair to the side (this can be a French braid or a super-basic one), and wear a distressed brown leather jacket (or cargo jacket, if you prefer!). A basic black shirt, black pants, and brown lace-up leather booths complete this look. Oh! And a bow and arrow. Can’t forget that. You can find the movie replica arrow set online, but toy or imitation arrows can also be found at most costume stores. To pull off Clary’s look you’ll need a black leather jacket, a black dress and tall black boots. For accessories, add a black belt and black fingerless gloves. (Hint: This costume is basically a lot of black). Finally you’ll need to add some runes. You can draw on your favourites (iratze, agility, etc) with black makeup or temporary markers, or you can try making something that will last just a bit longer! To dress up as everyone’s favourite hobbit you’ll first need a cream colored shirt, a green wool waistcoat, and light brown cropped pants that hit just below your knees. Next add a burgundy corduroy jacket, and a wooden walking stick to carry. Of course, to really look like Bilbo you’ll need to add those distinctive hobbit ears. We’ve seen cosplayers use plastic ears (readily available at costume stores), but if you’re crafty you can also create these using a natural clay! We’re having a bit of trouble letting go of this series, so don’t be surprised if you see us walking around Toronto as Tris all week. For this costume you’ll need a black tank top, black pants and black lace up boots. Sounds basic, right? The key to this costume are the tattoos. 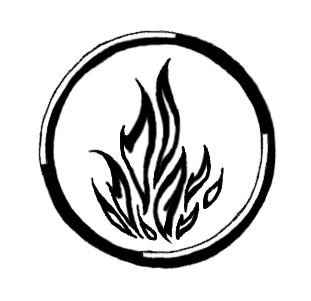 Tris has three ravens (one for each member of her family) on her left collarbone, the Dauntless symbol on her left shoulder, and lastly, the Abnegation symbol on her right shoulder. We’re lucky enough to have gotten some temporary faction symbol tattoos, but these are also all easy to draw on! So, which costumes have you been wearing this Halloweek? Tell us on twitter @SavvyReader and @HCCFrenzy. Follow me on twitter @suman_says & @HCCFrenzy!